This interview with Zac Manchester of KickSat took place on 26 April 2014, just over a week after the KickSat satellite was successfully launched from Cape Canaveral. 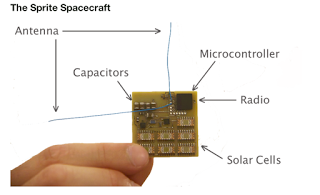 The KickSat satellite carries over 100 miniaturized satellites called Sprites (including AirSafe.com's first satellite), and these will be deployed later in the mission. In the interview, Zac discusses the planning and development process for KickSat, the technology that made the miniaturized Sprite satellites possible, and the volunteer network of radio operators who will detect the signals from the Sprites once they deploy. The Sprites are set to deploy from the KickSat motherhship in early May 2014, and will began broadcasting radio signals that will be detected by one or more ground stations.